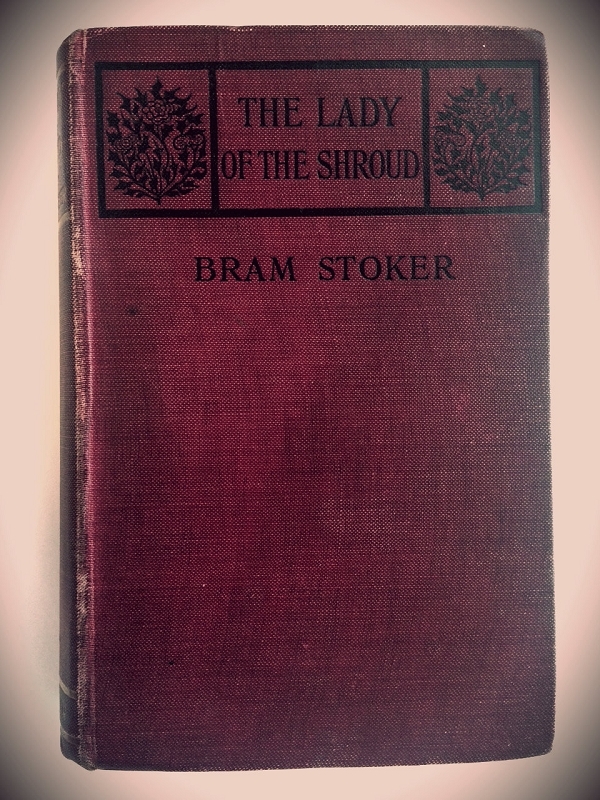 Book Condition: Good + Original publishers red cloth with black front panel, spine panel in gilt. Heinemann's publishers device blindstamped, rear board. Bumps at the top and bottom spine. Discoloration from water, cloth fade - rear boards. Loose binding, front interior hinge starting. Features: Good+ No dustjacket as issued. First Edition. ALS, holographic letter from Stoker on Lyceum Theater letterhead tipped in. 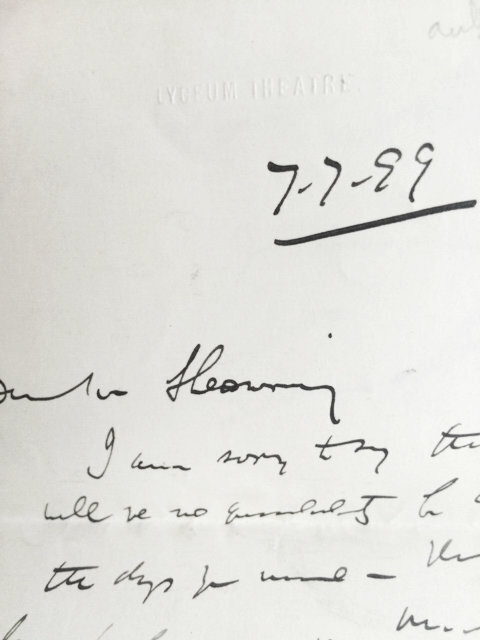 The full letter dated July 7, 1899 and signed by Stoker has not been transcribed. This is the eleventh Stoker novel, an adventure story about a young man who inherits enormous amount of money which he uses to help the people of a small country in the Balkans in their struggle against their more powerful neighbors. Dracula is considered by far his most famous work. 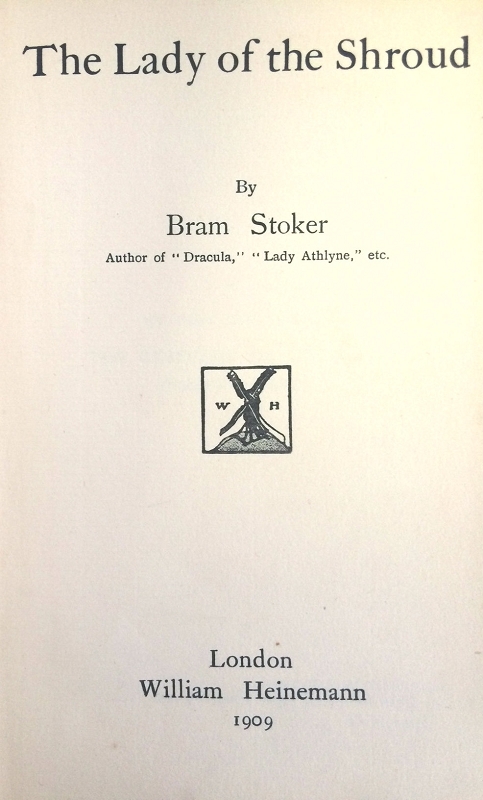 Stoker, noted for coining the term 'undead', offered an interpretation of vampire folklore that continues to this day to shape the portrayals of legendary monsters. Dusty Ayres January 1935 Blakeslee Cvr; "The White Death"